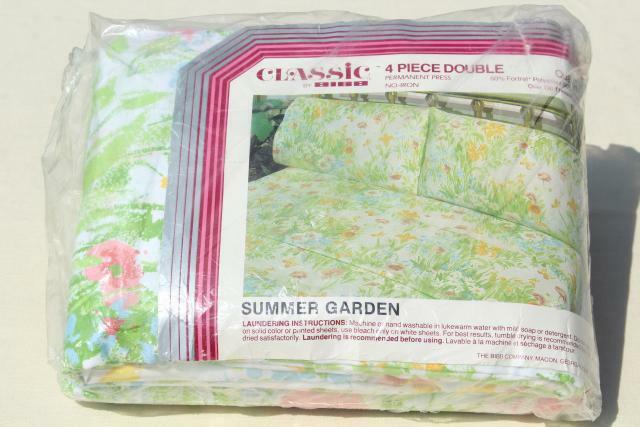 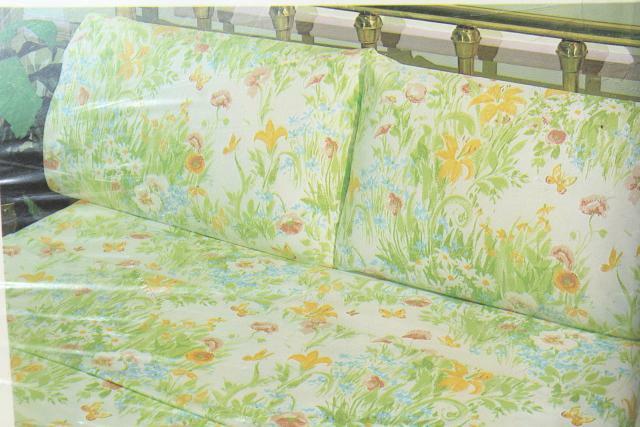 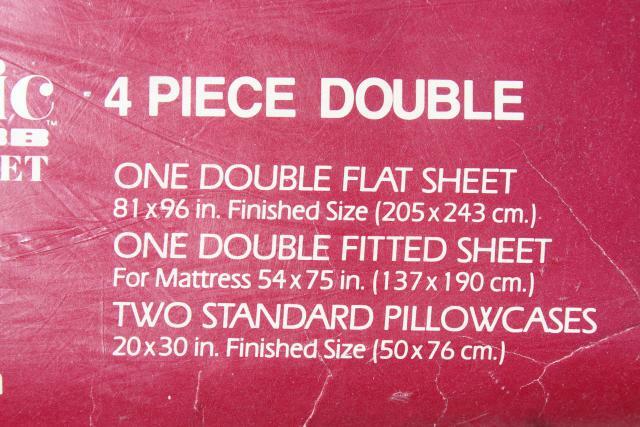 Unused 1970s-80s vintage bedding, a double bed set still in the original package. 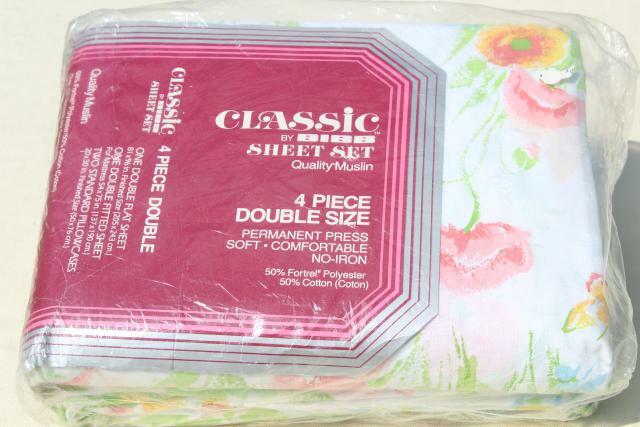 This is a pretty, retro print! 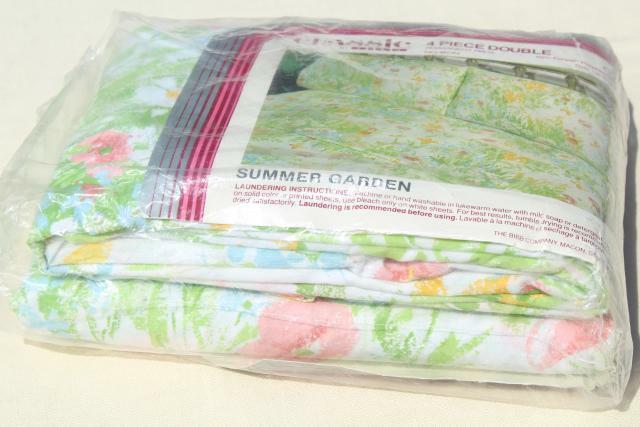 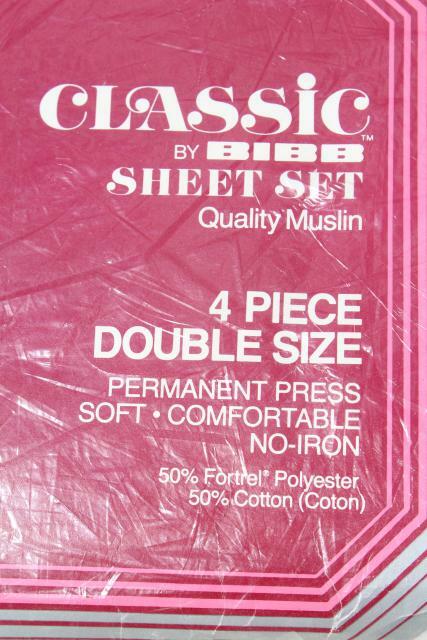 These are cotton / poly blend bed linens - a fitted and a flat sheet, and two pillowcases.